Sacramento – California is set to introduce a revised voter registration card designed to make it easier to register. The revision will allow individuals to register without having to disclose a political party preference, however there is still a place to indicate a political party preference if one wants to. The revision will make it easier for those with language barriers and/or who experience difficulty with reading comprehension or eyesight problems to register correctly. 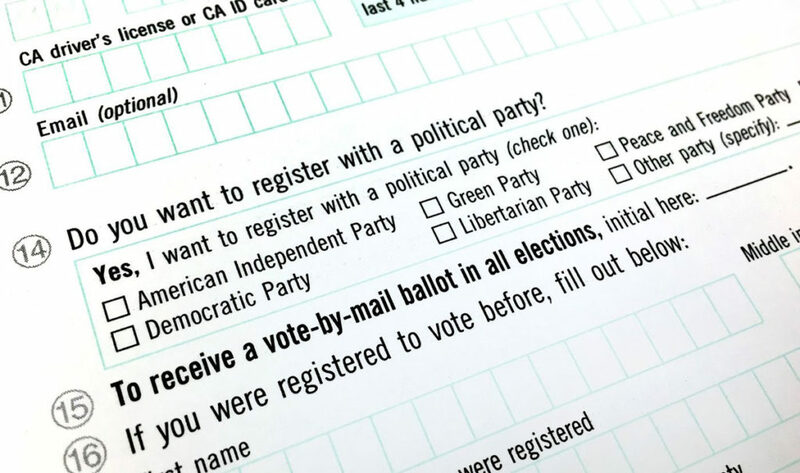 It will help eliminate the confusion that occurred in the past when some individuals who intended to register as “Independent” accidently registered as members of the ultra-conservative “American Independent Party” in error. The new paper registration forms were recently mailed to elections offices up and down the state. Those who registered using the old form are still valid. In addition, Californians can still register through the Department of Motor Vehicles and online.